Looking to simplify your transportation around Phoenix? Let us help! 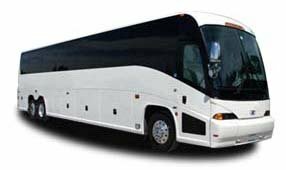 Phoenix Charter Bus can connect you to the perfect charter bus or minibus for your travel group, no matter the size, itinerary, or desired amenities! We only charter top-of-the-line motorcoaches, so you can rest assured your passengers will arrive safely and efficiently. Our representatives are available around the clock to assist you with all your transportation-related inquiries. Call 480-445-9823 today for a free, personalized quote.